Zellwin Farms Company is a molded fiber packaging company specializing in the manufacturing of egg cartons and egg flats. Family owned and operated, Zellwin Farms was a pioneer in the farming industry for over 50 years. Now, utilizing those same pioneering skills Zellwin Farms Company has become an integral part of the molded fiber packaging business with egg cartons and egg flats of excellent quality. In our continued efforts in protecting the environment, our egg cartons and egg flats are made from 100% recycled paper. All egg cartons and egg flats are of excellent quality and offer superior protection for your eggs. We can create your company's own 2x6 carton with four color artwork on your own personalized egg carton. 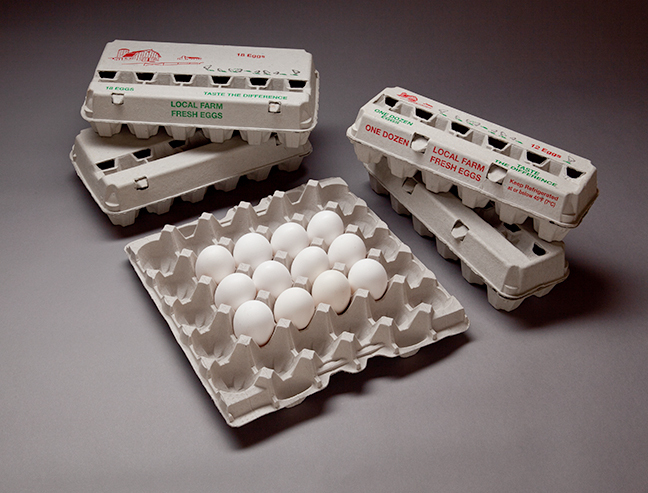 Blank egg cartons are also available in both sizes. Contact us today, 407-886-9241 or is@zellwin.com and we will gladly assist with all of your egg packaging needs!